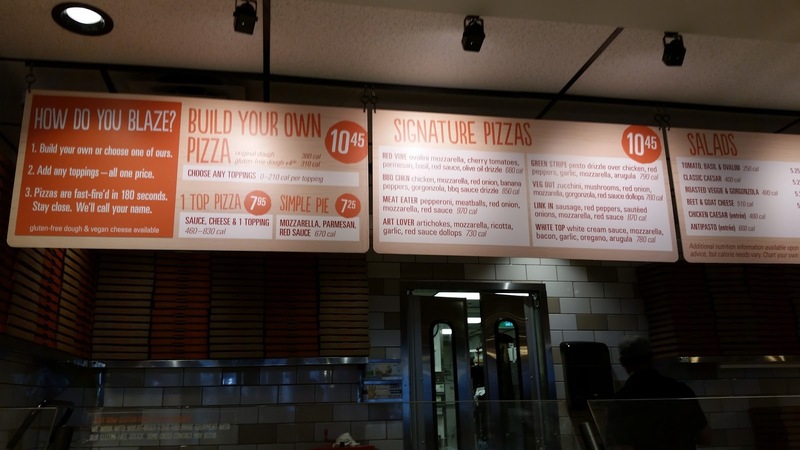 Blaze Pizza is a popular pizza place with various locations. I managed to make my stop there to try out their fast-blazed pizza for the first time at their Dundas location in none other than Toronto. 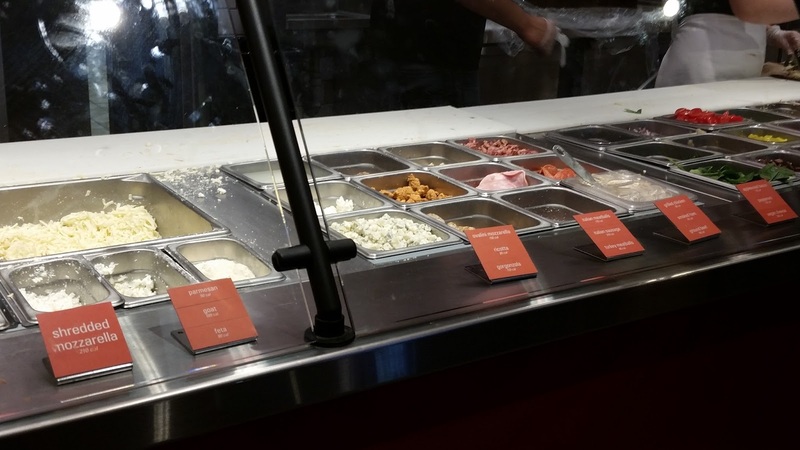 The atmosphere of Blaze Pizza was very clean and fit a nice orange theme – there was a significant amount of space for customers to sit in and enjoy their pizzas. There is also a takeout option, which is what I did during this visit there. Blaze Pizza promises delicious tasting pizza in a matter of 180 seconds (as advertised on their website, which the link is provided at the end of this post!). 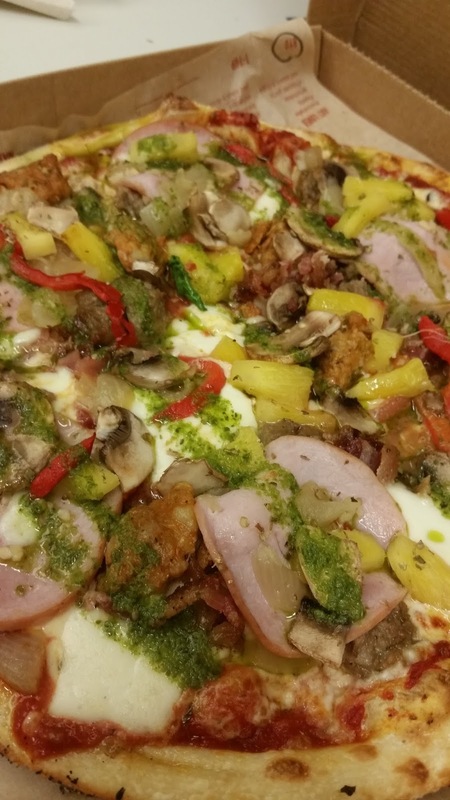 On our pizza selection, we ordered a Build-Your-Own Pizza which consisted of pineapple, Ovailini mozarella, mushrooms, caramelized onions, roasted red peppers, pesto, Italian meatball, Italian sausage, bacon and ham. Simply a delicious, most convenient pizza you can get.